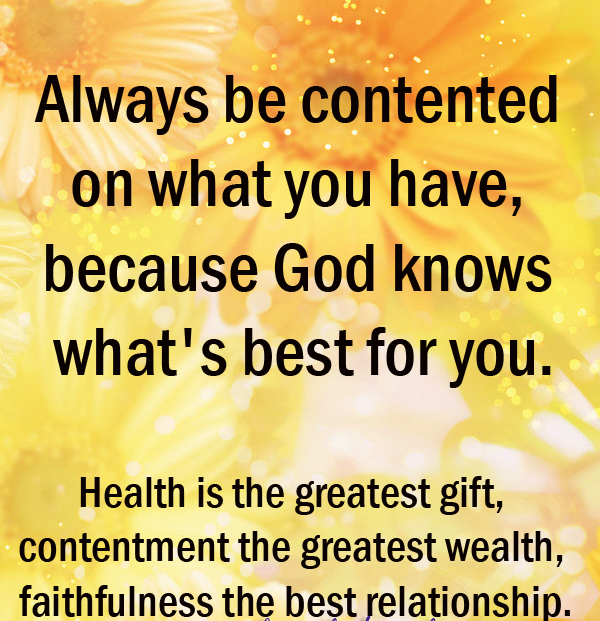 Always Be Contented On What You Have, Because God Knows What’s Best For You. 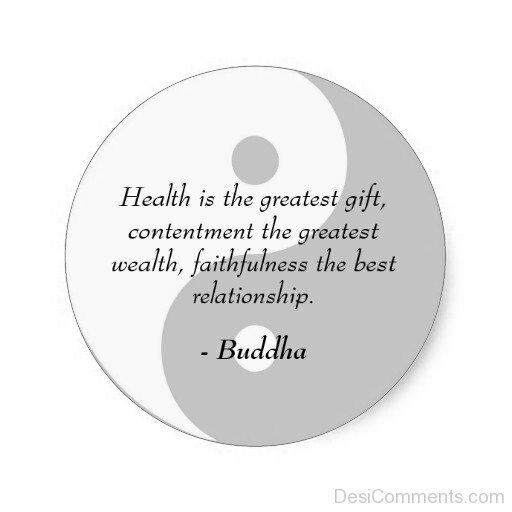 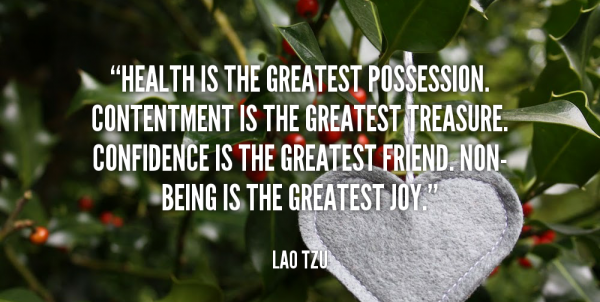 Health Is The Greatest Gift, Contentment The Greatest Wealth, Faithfulness The Best Relation. 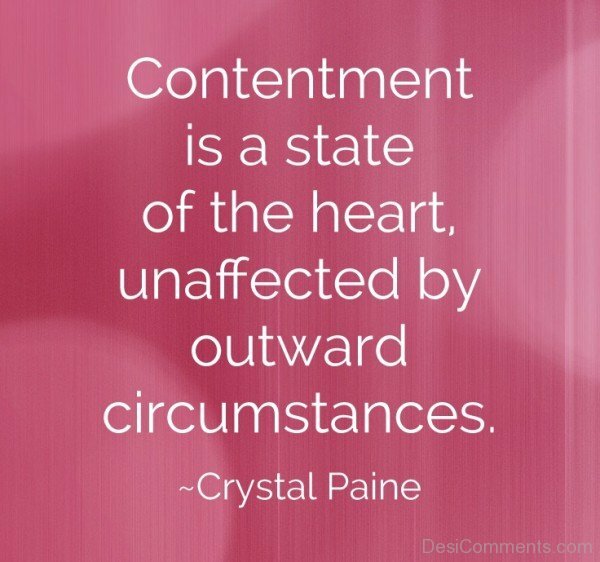 All Things No Matter How Great Or Small Is Insignificant When Contentment Is At Stake. 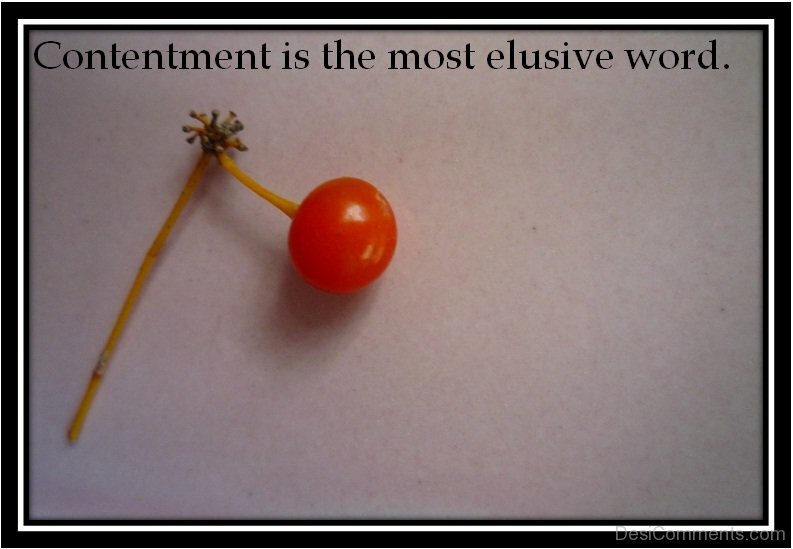 If You Are Contented Then You Have Achieved The Greatest Bliss In The Whole World. 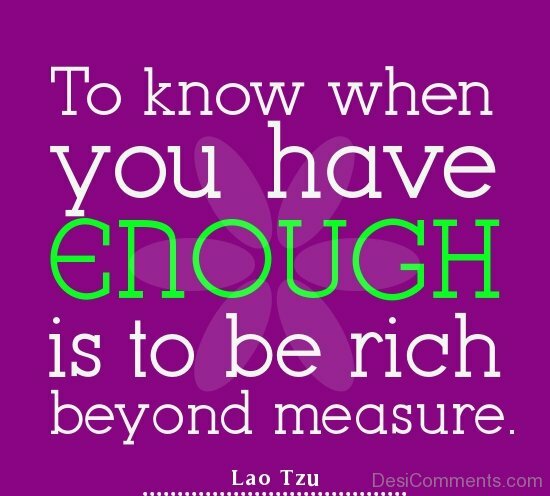 Greater Than Anything Else That Money Can Even Buy. Contentment Is A State Of The Heart, Unaffected By Outward Circumstances. 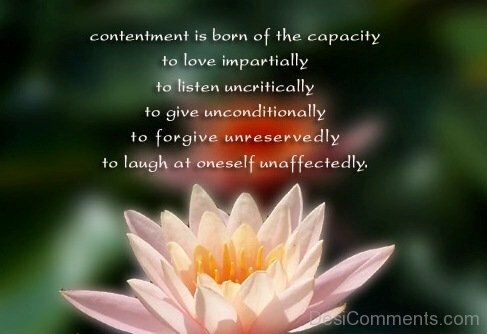 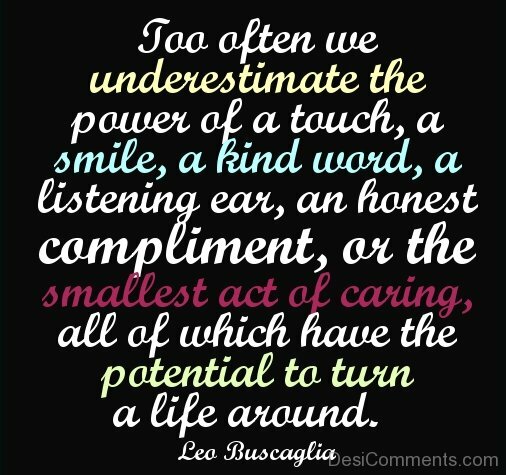 Contentment is born of the capacity to love impartially, to listen uncritically, to give unconditionally, to forgive unreservedly, to laugh at oneself unaffectedly. Contentment Is The Realization Of What You Already Have. 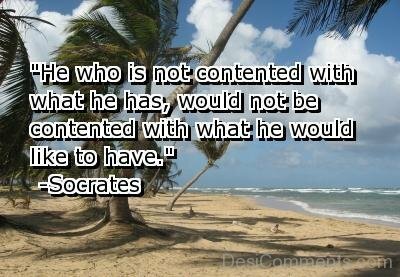 Contentment or Happiness derived from material object is nothing but a false belief with fades off as fast as it is felt. 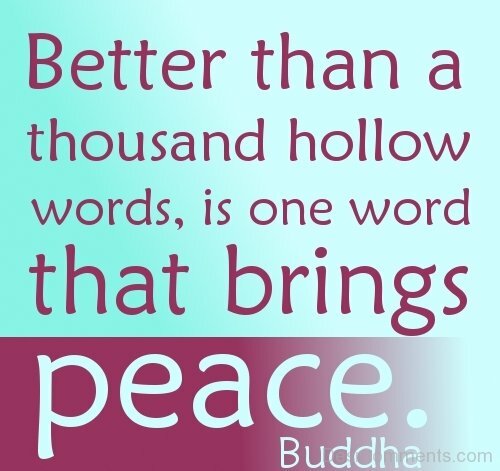 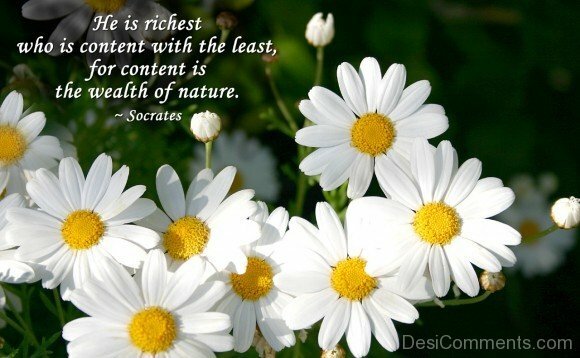 Real Happiness comes from within, as it is the soul that possesses the quality of happiness. 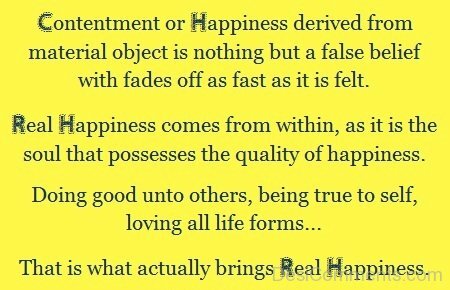 That is what actually brings Real Happiness. 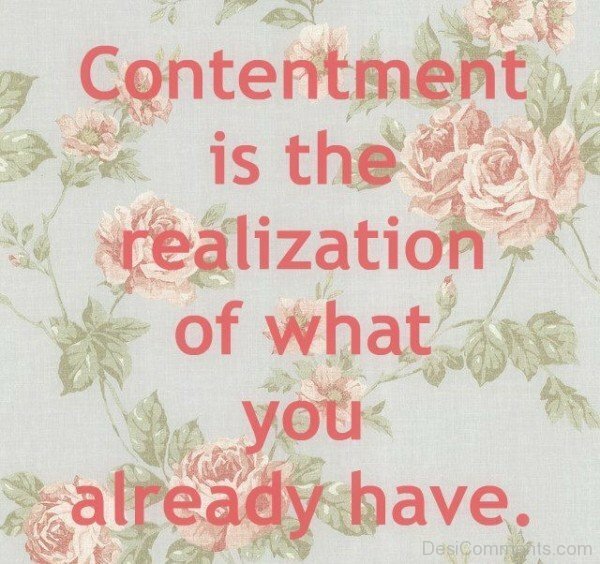 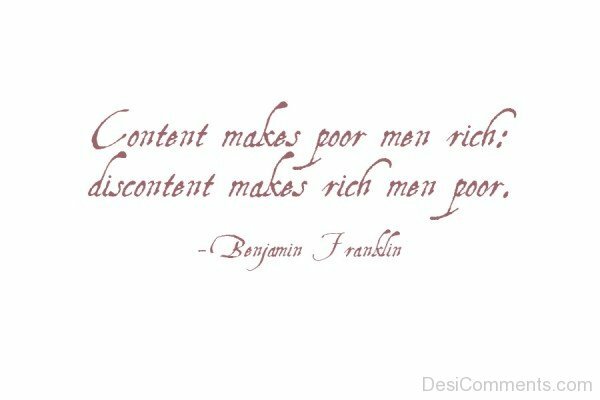 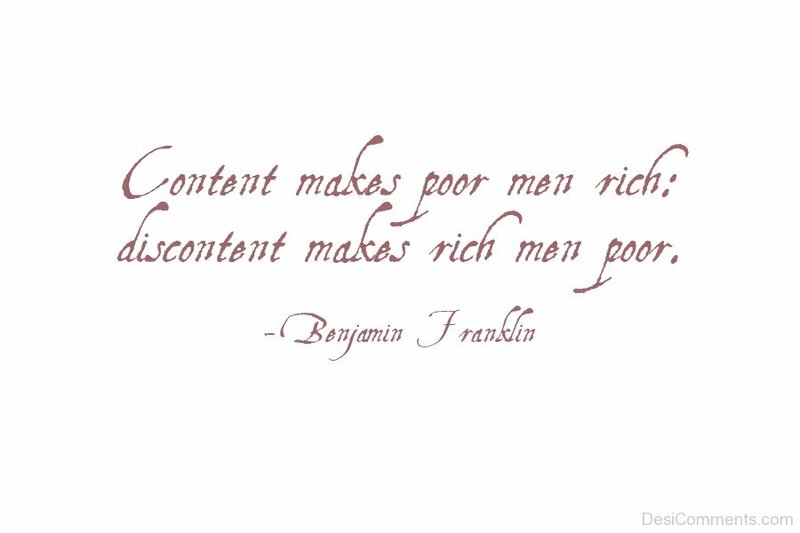 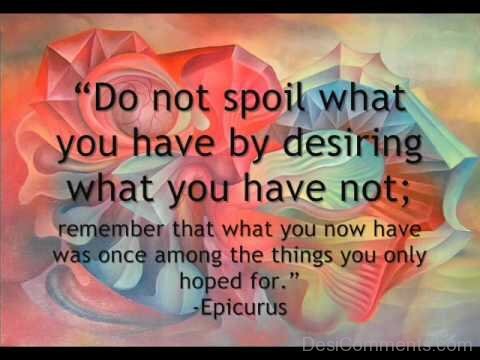 Counteract greed with contentment. 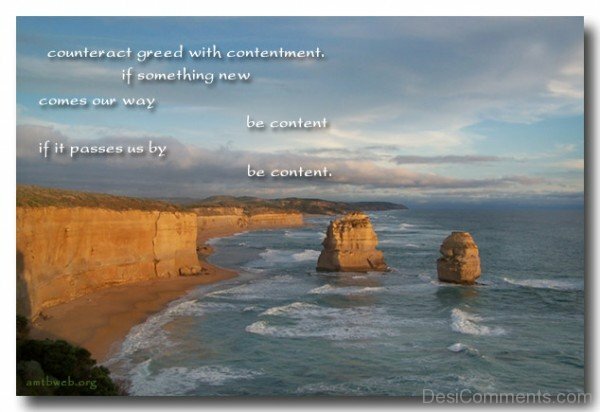 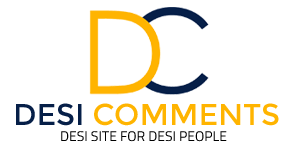 If something new comes our way be content, If it passes us by be content. 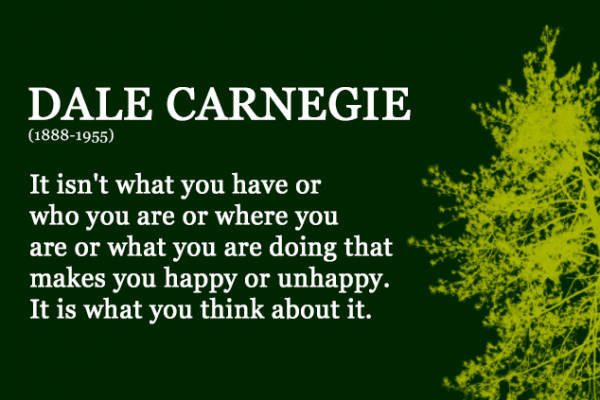 ‘It isn’t what you have or who you are or where you are or what you are doing that makes you happy or unhappy. It is what you think about it.